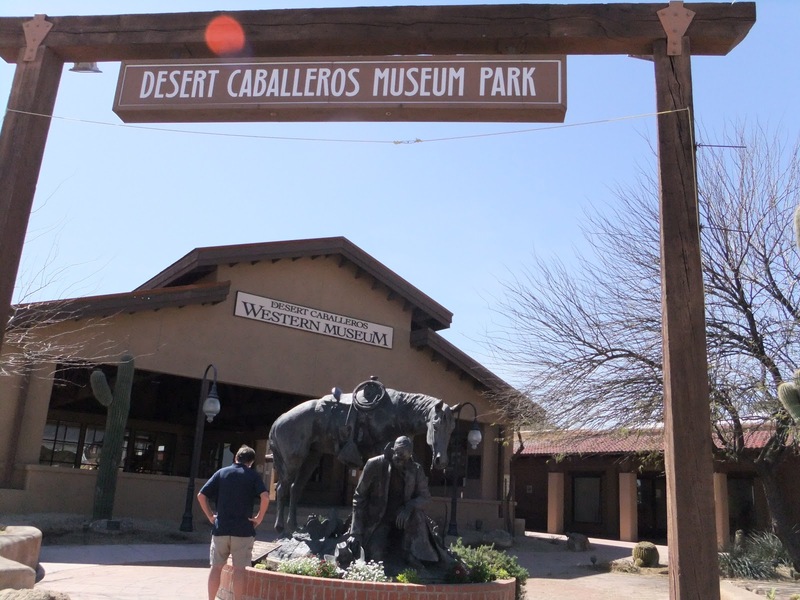 We were looking for America's Old West and found it in Wickenburg, Arizona. "Wickenburg?!" Long pause. . ."Are you sure?" 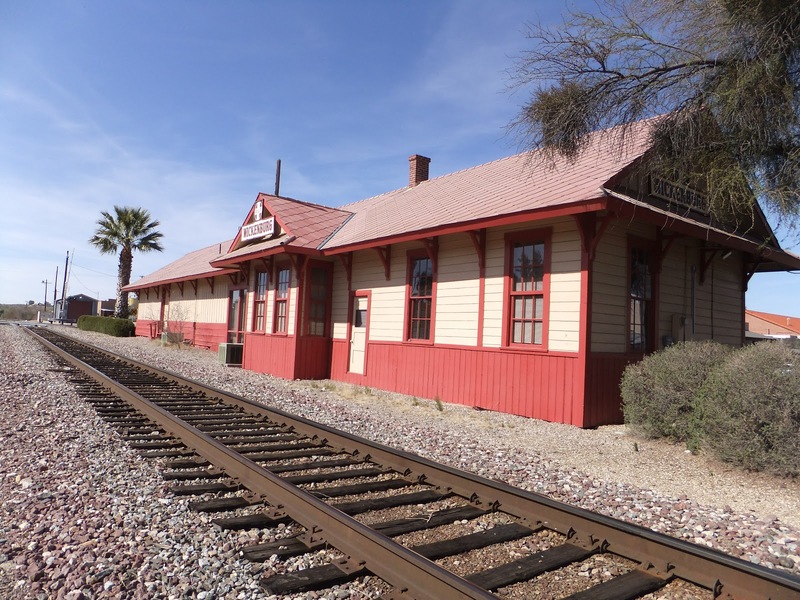 Several friends seemed surprised that we planned to spend a night in Wickenburg, Arizona during our recent Southwest road trip. "Have you ever been there?" they'd ask, then add, "It is sort of a ranching area, you know. There's not a lot to it." We assured them that our fueling stop there on our southbound journey, had prompted our desire to further explore this place named for its famous German immigrant gold miner from yesteryear. 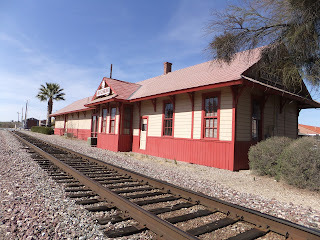 We spent the night in a basic, (somewhat pricey for what we got), clean room at the Best Western Rancho Grande, (293 E. Wickenburg Way) but its central location was perfect for setting out on foot to explore this once Wild West hub of a gold mining town. A shopkeeper told us we were visiting at end of "Snowbird Season" referring to those folks from the north who head south like the birds seeking winter warmth. Their numbers double the population, he said, taking it into the 10,000 range. 1. For years this place was known as, "The Dude Ranch Capital of the World," and there are still several to chose from include the Flying E Guest and Cattle Ranch that has been hosting visitors since 1946. Rancho de los Caballeros, now in its 63rd year of operation, offers guests, "spikes, spurs and spa". (Next time partner, we'll be headin' to a ranch!). 6. Oh yes, there's also the 600-seat Del E. Webb Center for the Performing Arts where entertainers from Jose Feliciano, The Sons of the Pioneers and The Canadian Tenors are among this season's headliners. 7. Eateries.. .oh, my! A fellow tourist told us we 'had to have the ice cream'. She was referring, to Tony and Pam Rovida's Chaparral Homemade Ice Cream (T45 N. Tegner St., 928-684-3252) which has been around some 30 years. Homemade ice cream, hot fudge, chocolate and caramel sauces - not to mention pastries -- are served here. I am pleased to say we were saving ourselves for a barbecue feast at the newly-opened Pig Trough on Wickenburg Way. (A trough, is what a pig eats out of, for those of you city folk reading this). Suffice to say, it lived up to its name: we were piggies at dinner. Perhaps the best part of this place to our way of thinkin' are the 'real' ranchers and cowboys. Boots, blue jeans and cowboy hats weren't props for some theme-town. That's the way the folks were dressed as they drove huge pickup trucks through town hauling horse trailers as long as an RV, carrying as many as a half dozen horses. This place is America's West - and we struck travel gold when we discovered it. Thank you for your article on our western community. I'm so glad you took time to visit and get a feel for our genuine hospitality. Please stop in the Chamber & Visitor Center again, I would like to meet you in person. Let me know! Thanks!! And Happy Traveling! Home of Jail Tree Sandwich Co.
Hi Julie and Jaclyn, Thanks for the comments. And Julie we will make it a point to drop by on our next trip (we did come by the office but it was Sunday afternoon) so we will time the next visit to coincide with office hours! And Jaclyn please feel free to FB, Tweet, and include it in your website media kit. When we get back there, we will be eating some of those homemade goodies. . .I am just sorry we didn't sample any on our last visit!